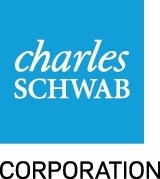 "Schwab has built out a wide range of full-service investing and wealth management capabilities to support investors through market conditions like those experienced this August"
SAN FRANCISCO--(BUSINESS WIRE)--The Charles Schwab Corporation announced today that its net income for the third quarter of 2015 was $376 million, up 7% from $353 million for the second quarter of 2015, and up 17% from $321 million for the third quarter of 2014. Net income for the nine months ended September 30, 2015 was $1.0 billion, up 6% from the year-earlier period. The company’s financial results for the third quarter and first nine months of both 2015 and 2014 include certain non-recurring items; descriptions of these items are included below. New retail brokerage accounts for the quarter totaled approximately 158,000, up 12% year-over-year; total accounts were 6.8 million as of September 30, 2015, up 1% year-over-year. Held financial planning conversations with approximately 29,000 clients, up 7% year-over-year. Launched the Schwab One® Visa® Chip Platinum debit card, enhancing security and reducing the chance of failed transactions for clients traveling in more than 130 countries, where chip readers are now standard. Enhanced flexibility for Schwab.com passwords – clients may now create passwords with up to 234 characters, including special and case-sensitive characters. Added an “Ideas” tab to Trade Source™, Schwab’s specialized web interface for traders, enabling users to search for stocks based on nine strategic predefined screens that can be used as starting points for potential trade ideas. Held our annual SOLUTIONS events in 12 cities across the country, helping advisors discover how our technology and tools can streamline workflow, optimize performance and support exceptional client service. Added two funds to Schwab Alternative Investment OneSource™, a platform that provides advisors and their clients with access to alternative investment funds registered under the Securities Act of 1933. At quarter-end, 31 funds were available on the platform. Balance sheet assets = $128.7 billion, up 22% year-over-year. Outstanding mortgage and home equity loans = $11.1 billion, comparable to a year ago. Pledged Asset Line® balances = $3.2 billion, up 56% year-over-year. 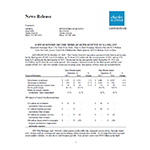 Delinquency, nonaccrual, and loss reserve ratios for Schwab Bank’s loan portfolio = 0.20%, 0.18% and 0.22%, respectively, at month-end September. Schwab Bank High Yield Investor Checking® accounts = 836,000, with $12.2 billion in balances. Client assets managed by Windhaven® totaled $12.9 billion, down 27% from the third quarter of 2014. Client assets managed by ThomasPartners® totaled $6.8 billion, up 11% from the third quarter of 2014. Client assets managed by Intelligent Portfolios (Schwab Intelligent Portfolios™ and Institutional Intelligent Portfolios™) totaled $4.1 billion, up $1.1 billion from the second quarter of 2015. Expanded Schwab ETF OneSource to offer nine more ETFs; at quarter-end, investors could trade 209 ETFs from 14 providers covering 66 Morningstar Categories, for $0 online trade commissions. Introduced SchwabSafe, an online resource with perspectives and tips on cyber security that helps clients learn about safe online security practices applicable to all aspects of online commerce. Supporting schedules are either attached or located at: http://www.aboutschwab.com/investor-relations/financial-reports. Joe Martinetto, Senior Executive Vice President and Chief Financial Officer, provides insight and commentary regarding Schwab’s financial picture at: http://www.aboutschwab.com/investor-relations/cfo-commentary. The most recent commentary was posted on September 15, 2015. This press release contains forward-looking statements relating to expense growth; financial discipline; maintaining a healthy balance sheet; monetization of client cash balances; and the timing and amount of bulk transfers of cash sweep balances. Achievement of these expectations and objectives is subject to risks and uncertainties that could cause actual results to differ materially from the expressed expectations. Important factors that may cause such differences include, but are not limited to, the company’s ability to manage expenses; the timing and amount of severance and other costs related to reducing the company’s San Francisco footprint; the effect of adverse developments in litigation or regulatory matters and the extent of any charges associated with legal matters; any adverse impact of financial reform legislation and related regulations; regulatory guidance; general market conditions, including the level of interest rates, equity valuations and trading activity; the level of client assets, including cash balances; the company’s ability to attract and retain clients and grow client assets/relationships; the quality of the company’s balance sheet assets; capital needs and management; the company’s ability to monetize client assets; client sensitivity to interest rates; and other factors set forth in the company’s most recent reports on Form 10-K and Form 10-Q. 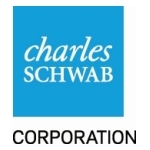 The Charles Schwab Corporation (NYSE: SCHW) is a leading provider of financial services, with more than 325 offices and 9.7 million active brokerage accounts, 1.5 million corporate retirement plan participants, 1.0 million banking accounts, and $2.42 trillion in client assets as of September 30, 2015. Through its operating subsidiaries, the company provides a full range of wealth management, securities brokerage, banking, money management and financial advisory services to individual investors and independent investment advisors. Its broker-dealer subsidiary, Charles Schwab & Co., Inc. (member SIPC, http://www.sipc.org), and affiliates offer a complete range of investment services and products including an extensive selection of mutual funds; financial planning and investment advice; retirement plan and equity compensation plan services; referrals to independent fee-based investment advisors; and custodial, operational and trading support for independent, fee-based investment advisors through Schwab Advisor Services. Its banking subsidiary, Charles Schwab Bank (member FDIC and an Equal Housing Lender), provides banking and lending services and products. More information is available at www.schwab.com and www.aboutschwab.com. (1) There were no net impairment losses on securities for the three or nine months ended September 30, 2015. Net impairment losses on securities include total other-than-temporary impairment losses of $1 million recognized in other comprehensive income, net of $0 reclassified from other comprehensive income, for the three and nine months ended September 30, 2014. (2) Includes preferred stock dividends and undistributed earnings and dividends allocated to non-vested restricted stock units. Note: Certain prior-period amounts have been reclassified to conform to the 2015 presentation. (1) Includes net impairment losses on securities of $(1) million in the third quarter of 2014. (2) Return on average common stockholders’ equity is calculated using net income available to common stockholders divided by average common stockholders’ equity. (3) Includes all client trades that generate either commission revenue or revenue from principal markups (i.e., fixed income); also known as DART. (4) Includes eligible trades executed by clients who participate in one or more of the Company’s asset-based pricing relationships. (5) Includes all commission-free trades, including Schwab Mutual Fund OneSource® funds and ETFs, and other proprietary products. (3) Includes the impact of capitalizing interest on building construction and software development. (1) Includes Schwab Exchange-traded Funds. (2) Beginning in the second quarter of 2015, certain Mutual Fund OneSource balances were reclassified to Other third-party mutual funds. Related revenues have been reclassified to Other asset management and administration fees. Prior-period information has been recast to reflect this change. (3) Beginning in the second quarter of 2015, Fee-based, Intelligent Portfolios and Legacy Non-Fee advice solutions are presented separately. Prior-period information has been recast to reflect this change. Advice solutions include managed portfolios, specialized strategies and customized investment advice. Fee-based advice solutions include Schwab Private Client, Schwab Managed Portfolios, Managed Account Select, Schwab Advisor Network, Windhaven Strategies, Thomas Partners Dividend Growth Strategy, and Schwab Index Advantage advised retirement plan balances. Intelligent Portfolios include Schwab Intelligent Portfolios, launched in March 2015, and Institutional Intelligent Portfolios, launched in June 2015. Legacy Non-Fee advice solutions include superseded programs such as Schwab Advisor Source and certain retirement plan balances. Average client assets for advice solutions may also include the asset balances contained in the three categories of mutual funds listed above. (4) Includes various asset-based fees, such as trust fees, 401(k) recordkeeping fees, and mutual fund clearing fees and other service fees. (1) Excludes all proprietary mutual funds and ETFs. (2) Beginning in the second quarter of 2015, certain Mutual Fund OneSource balances were reclassified to Other third-party mutual funds. Prior-period information has been recast to reflect this change. (3) In the first quarter of 2015, the Company increased its reported totals for overall client assets and retirement plan participants by $6.1 billion and 35,000, respectively, to reflect the final impact of the consolidation of its retirement plan recordkeeping platforms as previously announced in September 2013. (4) Third quarter of 2015 includes an inflow of $4.9 billion from a mutual fund clearing services client. Second quarter of 2015 includes inflows of $17.4 billion from certain mutual fund clearing service clients. Third quarter of 2014 includes inflows of $10.2 billion and an outflow of $3.4 billion from certain mutual fund clearing service clients. (5) First quarter of 2015 includes an outflow of $11.6 billion relating to the Company's planned resignation from an Advisor Services cash management relationship. September 2015 includes an inflow of $4.9 billion from a mutual fund clearing services client. June 2015 includes an inflow of $8.1 billion from a mutual fund clearing services client. 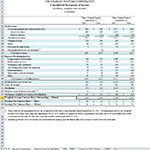 April 2015 includes inflows of $9.3 billion from certain mutual fund clearing service clients. February 2015 includes an outflow of $11.6 billion relating to the Company's planned resignation from an Advisor Services cash management relationship. September 2014 includes an inflow of $7.8 billion and outflow of $3.4 billion from certain mutual fund clearing service clients. In February 2015, the Company increased its reported totals for overall client assets and retirement plan participants by $6.1 billion and 35,000, respectively, to reflect the final impact of the consolidation of its retirement plan recordkeeping platforms as previously announced in September 2013. (3) Excludes Retirement Business Services Trust.